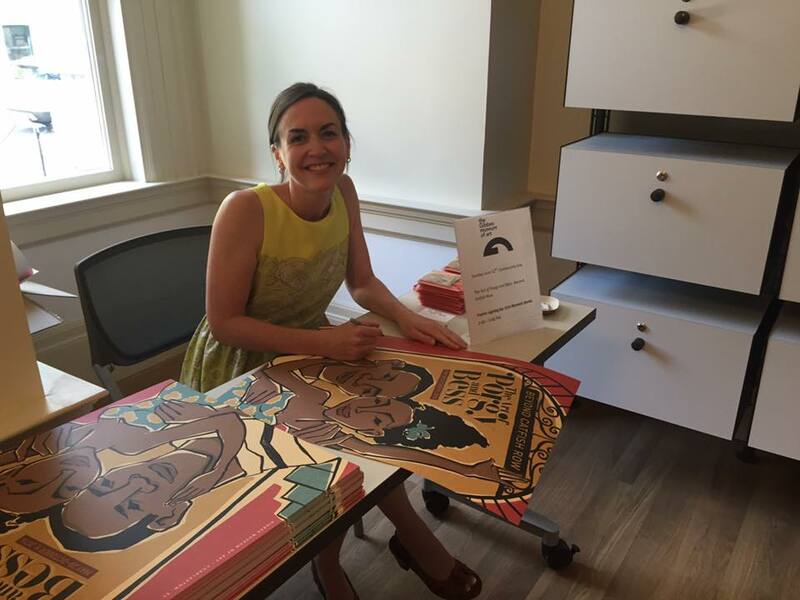 I spent the afternoon signing Porgy playbill posters as part of Community Day at the Gibbes Museum of Art. 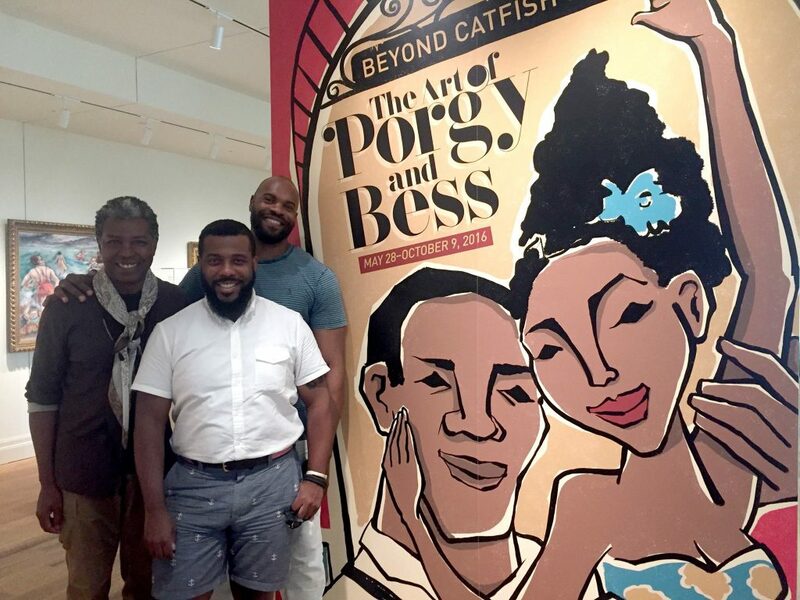 In addition to escaping the steamy hot temps, it was a treat spending time in the Museum and chatting with visitors that had just walked through the Porgy exhibition. Of course, my favorite celebrity appearance is the talented Jonathan Green, whose artistic direction put a vibrant spin on Spoleto Festival’s Porgy and Bess performance. 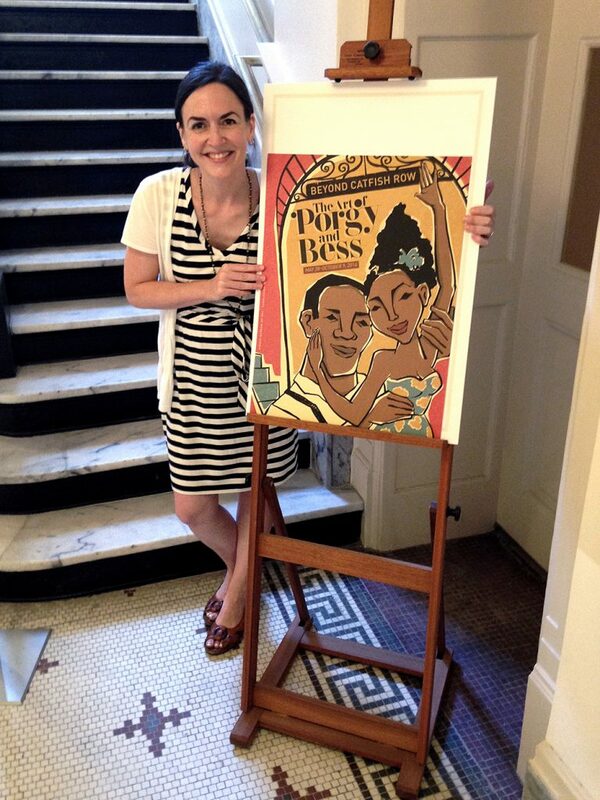 Mr. Green and cast from Porgy and Bess paused to pose next to my title wall image during a tour with Southern Living.